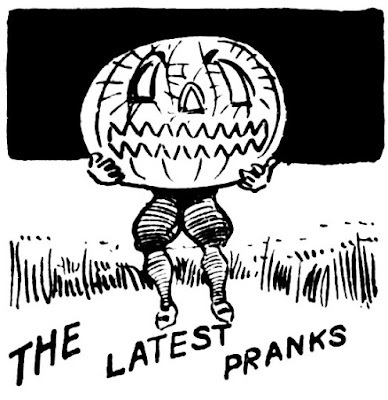 Halloween spot art from the Santa Ana Register, 1911. 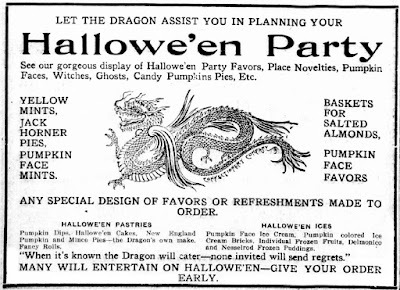 Dragon Confectionery ad, Santa Ana Register, Oct. 11, 1912. 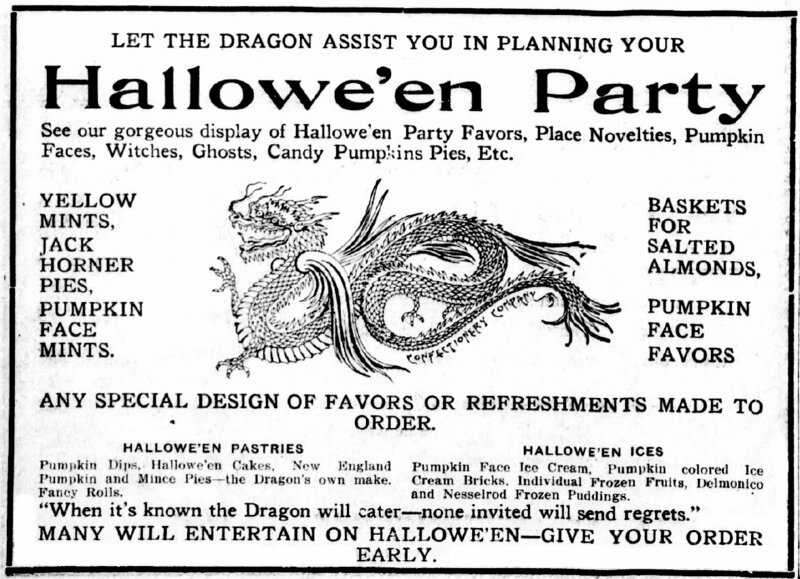 The Dragon Confectionery had a great name -- One that was especially well suited to a holiday full of scary imaginary creatures. As of 1912 this stalwart Downtown Santa Ana business was offering a wide array of holiday-specific goodies and decorations. Most of the advertised goods above are familiar, but I had to turn to Merriam-Webster to ﻿﻿discover that Jack Horner Pies are "an ornamental pie-shaped container from which favors or toys are extracted often by pulling a ribbon at a party." So that would go nice with the party favors, baskets for salted almonds and assorted Halloween candies, pies and cakes. I want to go to a party like this on Halloween! Balboa Pavilion ad, Santa Ana Register, Oct. 28, 1910. Party decorations ad, Santa Ana Register, Oct. 25, 1920. Halloween and book stores are both pretty high on the list of things I'm fond of, and here they are together in the same place! In fact, the Santa Ana Book Store was long a major local supplier of Halloween decorations and party favors in the early Twentieth Century. By the way, this year's Anaheim Halloween Parade -- a local tradition since the 1920s -- was a real corker. (Photos here.) Hope you didn't miss it. If you did, see it next year! That's real cool vintage Halloween .